Kollam which is popularly known as ‘God’s Own City’ is overlooking the magnificent Arabian Sea. This land of Poorams and Processions, with ornamented elephants gives a spectacular experience for tourist. 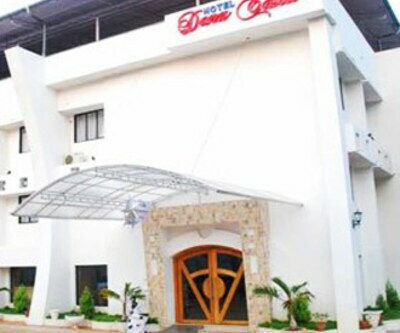 Travellers can get a comfort and relaxing stay at Hotel Zodiac Regency. 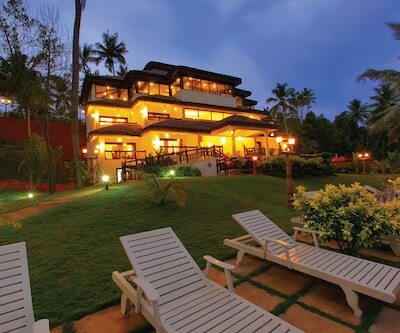 This is one of the best four star hotels in Kollam. Rooms are elegantly designed and are lavishly decorated according to the needs of the travellers. These rooms are divided into following categories-Standard Non AC Room, Standard AC Room, Deluxe Room and Suite. These rooms are fitted with all modern amenities like LCD TV, writing desk with chair, intercom, spacious wardrobe and many more. The hotel has a decent in-house restaurant, which serves a wide range of delicacies from around the world. The attached bathrooms are clean and well-maintained with all essential amenities along with 24 hours hot and cold water supply. The varying requirements of guests such as doctor-on call, credit card, laundry card parking are fulfilled timely by the hotel. 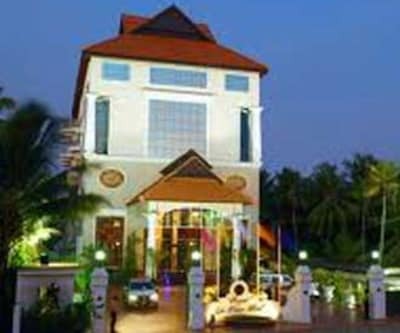 regant lake palace hotel is among best four star Kollam hotels. The property is situated at opposite foundation hospital junction in Kollam. 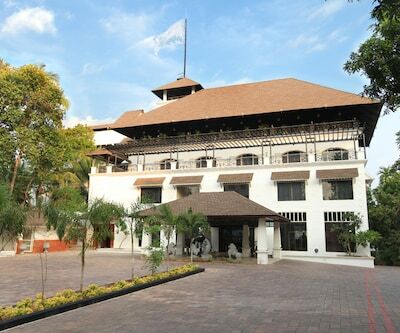 The hotel is located amidst the alluring serenity, comfort and luxury. The hotel is surrounded by the chirpings of bird’s, breathtaking backwaters and stunningly blue sky. There are a total of 38 rooms in the property which are divided into various classes such as Club Room, Deluxe Room, Suites and Cottages. The rooms are spacious and beautifully designed with arrange of latest facilities and amenities like AC, cable TV, DVD player, intercom, direct dial telephone, data port facility, Wi-Fi, fridge, table, dining area, daily newspaper and many more. There are 3 restaurants with pleasing ambience. ‘Thampuru’ is a multi-cuisine restaurant that offers Kerela, Indian, Chinese and Continental cuisine. There’s a separate restaurant for sea food lovers. ‘The Baral’ is a bar lounge where guests can enjoy their favorite spirits and cocktails. Business travellers are provided with conference halls. In addition to this, guests can enjoy at the Casino which is houses by the property. Another property where guests can enjoy their tour to Kollam is Hotel all season which is listed among the best four star hotels in Kollam. 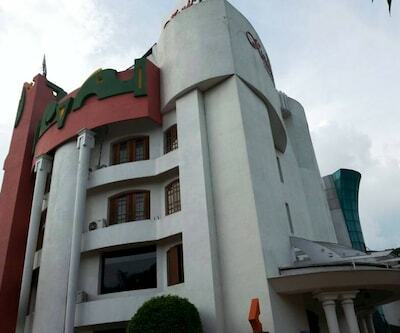 The hotel is nestled near the serene beauty of Ashtamudi Lake that is elegantly designed and maintained. All the 21 lavishly designed rooms are centrally air-conditioned which are fully-equipped with cable television, data port, Wi-Fi, mini bar, tea maker, safety locker and attached bathroom with necessary bathroom amenities. All rooms of the hotel are lake facing and so patrons and cherish enchanting views of backwaters of Kerala from room’s windows and balconies. 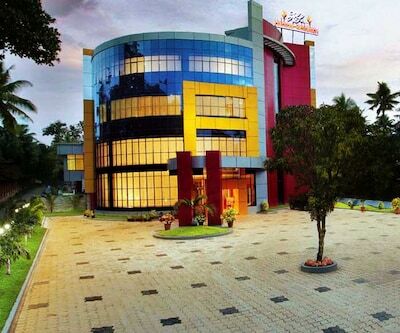 The property features a board room, a conference hall and a banquet hall fitted with the facilities like internet connectivity, where patrons can organize business events and social events respectively. Guests can unwind at the roof top swimming pool and at Ayurvedic centre along with kid’s pool, Gym and a massage centre. Guests can pamper their taste buds at multi-cuisine restaurant –‘D Oregano’ serves a wide range of world class dishes. Hotel also offers in-house coffee shop namely –‘D Café’.